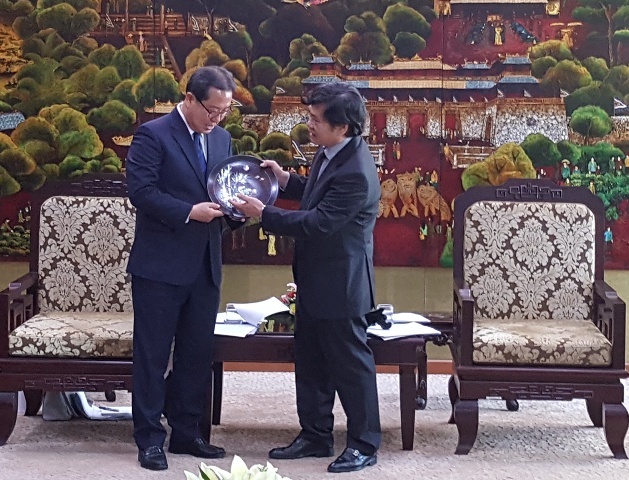 In the afternoon of October 30, the delegation of Namyanyiu city (Korea), led by Mr. Cho Kwang-Han, the city's mayor as head of the delegation, visited and worked in Hue City. 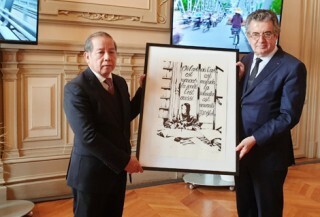 On behalf of leaders and local people, Chairman of Hue City People's Committee – Mr. Nguyen Van Thanh expressed his pleasure to welcome the delegation. He also introduced some features of socio-economic and local environment. 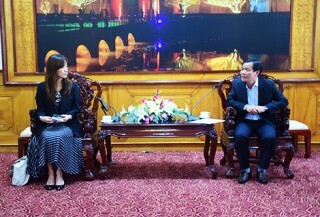 Chairman of Hue City People's Committee said that in the past time, friendly relations and cooperation between the two countries, Vietnam and Korea, are more and more developed. 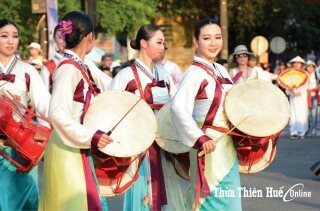 Thua Thien Hue Province and the cities in Korea have been continuously increasing exchange and cooperation in many fields and leaving many beautiful impressions for people in two provinces. 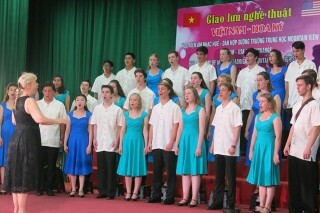 In recent years, the exchange and cooperation between Hue City and Namyanyu City has become closer. This is the condition and opportunity that Chairman of Hue City desires the leaders and departments of Namyanyiu City to continue to bridge the gap, to introduce and call on investors, businesses and partners in Korea to expand their cooperation relationships, at the same time to exploit the potentials, strengths, historical and cultural traditions, attractions and unique heritages in Hue city, to make the two localities more and more familiar and closer. 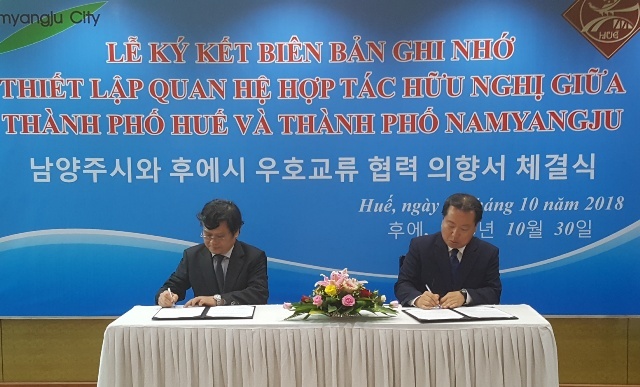 These things will contribute to the good development of the Vietnam-Korea relationship in general, and between Namyanyiu City and Hue City in particular. On behalf of the Namyuan city delegation, Mr. Cho Kwang-Han thanked the warm welcome of the departments; especially the leaders of Hue city. This is the 8th time he personally visited Hue city, but it is the first time he visited to and worked in Hue city as Mayor of Namyanyu City. During the journey, he felt the warmth as returning to his family. 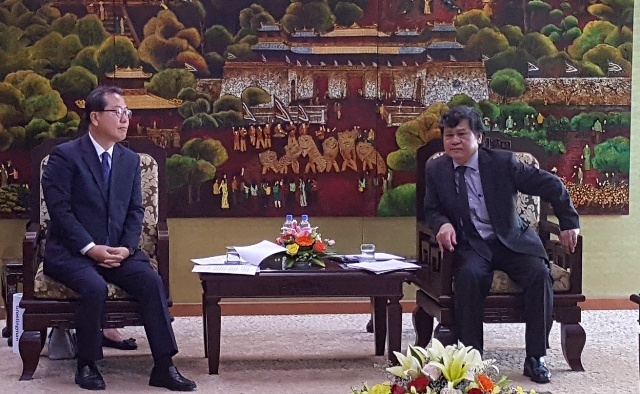 Mr. Cho Kwang-Han also expressed his admiration for the natural scenery and the economic, cultural and social development of Hue City as well as of Thua Thien Hue Province. 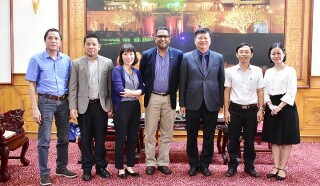 He said that Hue city had many similarities with Namyanyiu city on the landscape, history and culture, so that he looked forward to the friendly cooperation between the two localities being successful in many fields and becoming the symbol of solidarity, cultural and economic exchange in the eyes of international friends.